NEWLY released footage shows Harvey Weinstein sleazing onto a young woman in his office - just hours before the woman alleges the producer raped her. 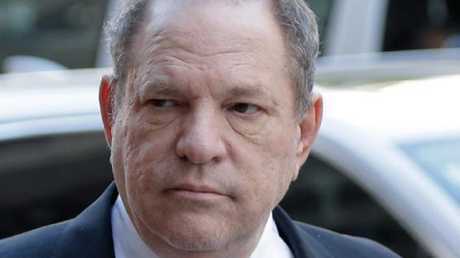 The New York Post reports that the video shows Melissa Thompson, one of three women currently suing Weinstein for sexual assault, pitching her tech start-up to the movie mogul at The Weinstein Company offices in 2011. Their meeting begins with a hug - where Weinstein rubs her back and says, "That's nice, let's keep it up" - then the clip cuts to Thompson, 28, giving her pitch. At one point, she jokes: "Data's so hot right now." "It is hot. You're hot," Weinstein replies. "Let me have a little part of you. Give it to me. It's okay, would you like to do it some more?" It's not clear what he is doing off camera, but she replies: "That's a little high, that's a little high." Weinstein has denied any wrongdoing, and his lawyer told Sky the video had been edited to obscure "casual - if not awkward - flirting from both parties."